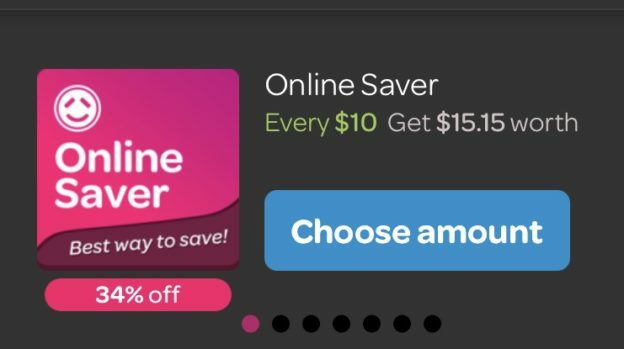 We’re always working hard to make Powershop the best customer experience possible and that means regularly implementing small updates and enhancements to your online account and the mobile app. This is a spot where you can read about our recent updates. 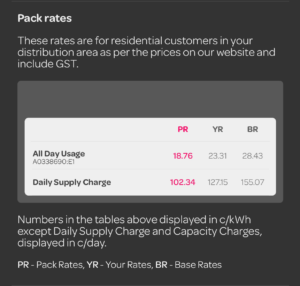 When you view the information for a Powerpack you can now see the rates applicable to that Powerpack along with Your Rates (Standard Saver) and the Base Rates. Make it clearer what rates you are being charged. Make the information available in the mobile app consistent with the information in the online account. We have introduced the concepts of cost and worth to each Powerpack to match the information available in the online account. Cost is how much you’ll actually pay for the Powerpack after any discounts and premiums have been accounted for. Worth is how much the Powerpack would cost at Base Rates. The difference between cost and worth shows the estimated savings for the Powerpack. Make it easier to compare the value of each Powerpack. Ensure the information provided on Powerpacks is as transparent as possible. Make the information available in the mobile app consistent with the information available in the online account. If you have reached the purchase limit on a particular Powerpack the app will now let you know if you will be able to purchase more of that Powerpack and when you will be able to do so. This update is mainly applicable to Future Packs. Give clear and quick feedback to customers about the availability of Powerpacks. When viewing a Powerpack you can now click the hyperlink on “Base Rates” to view your Base Rates and the effective discounted rates for the Powerpack. Make it easier to quickly find your rates. Read previous: Powershop is now available in South East Queensland!